Eager to raise money for SES without spending any of your own money? Then buying gift cards is for you! Do you shop at Fred Meyer, New Seasons or Target? Eat at Burgerville, Pizzicato or McMenamins? When you buy gift cards to use for groceries, restaurants, coffee and more, the stores donate a percentage to SESâ€”but you pay the same amount for the things you buy. 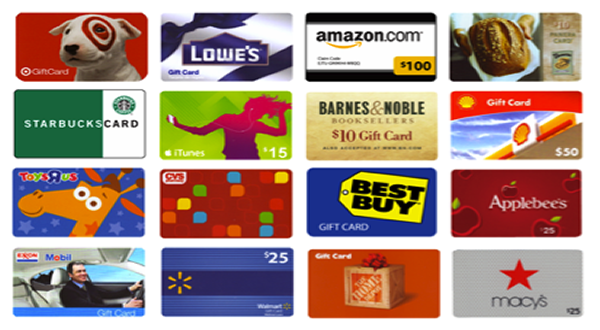 Where can you buy gift cards? Gift cards can be purchased at the gift card table in the front hall on Tuesday and Thursday mornings, or you can place a monthly standing order. Which means you can choose from many more stores, restaurants and services, and pay directly from your bank account, instead of having to remember to bring a wallet to school to make your purchase. (Minimum $200 on standing orders) And gift cards never expire. But what’s the deal with the contest? During the month of October, the gift card sales team will keep track of the gift card sales by classroom, and classrooms will compete to see which one raises the most money for SES. What does the winning classroom get? At the end of the month, the classroom with the most sales will win a Popsicle and/or doughnut party, and the teacher for that classroom will win $100 in Powell’s Books gift cards to purchase books for the classroom. Monthly standing order forms can be picked up in the SES office. And you can always just come by the gift card table if you need a copy of the form. Since you have to shop anyway, you may as well raise money for SES while you do itâ€”without spending any of your own money! Questions about gift cards? Contact Ina Zucker at ina.zucker@gmail.com.